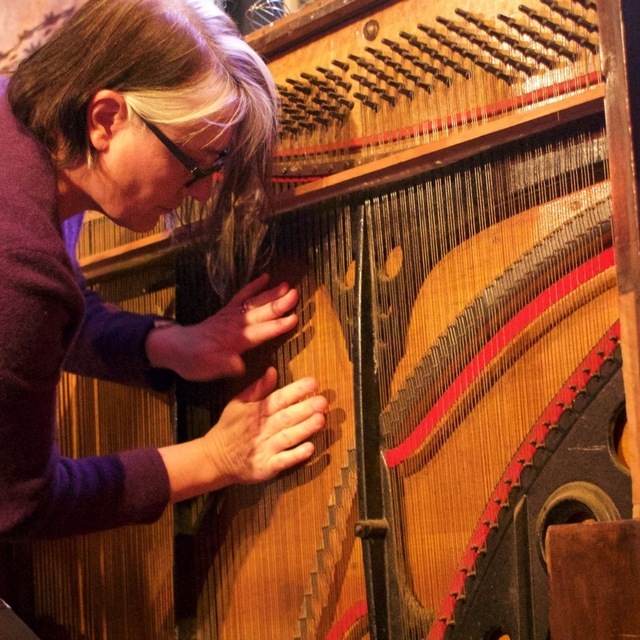 Glenda Keam is a composer, music analyst, lecturer and festival organiser. Her compositions have been performed in New Zealand and abroad, and she is also an enthusiastic songwriter. She was awarded a PhD in Music by the University of Auckland in 2006 for her analytical thesis “Exploring Notions of National Style: New Zealand Orchestral Music in the Late Twentieth Century”. More recently, she co-edited and contributed a chapter to the 2011 Pearson publication “Home, Land and Sea: Situating Music in Aotearoa New Zealand.” She has a strong history of choral singing with the National Youth Choir of NZ, the Academy of St Martin-in-the-Fields, and the Britten Singers (formerly BBC Northern Singers), and enjoys performing as a piano improviser. She has lived much of her life in her home town, Auckland, however she spent the period 1986-94 living in the United Kingdom, where she studied composition with Anthony Gilbert in Manchester, attended various summer workshops and worked as a music educator. Earlier achievements include an MMus (Hons) in Composition from the University Of Auckland (1986), where she studied composition with John Rimmer and John Elmsly and analysis with Fiona McAlpine. Glenda lectured in Music at the University of Auckland from 1995-2006, and was Senior Lecturer and inaugural Programme Director for Music at Unitec, Auckland from 2006-2013. She served ten years as President of the Composers Association of New Zealand (CANZ) (2007 - 2017), and in 2016 was appointed Vice-President of the International Society of Contemporary Music (ISCM). In 2013 she was appointed Associate Professor and Head of Music at the University of Canterbury. Here, she lectures in analysis, composition and music education among other areas. Glenda devised, curated, and organized the (09)03 Contemporary Music Festival held in Auckland in 2003, she co-curated the "New Zealand in LA" Festival in 2012, and is currently developing plans for New Zealand to host the ISCM World New Music Days in Auckland and Christchurch, in April 2020.